There was a time when doing aerial stunts, juggling and riding a unicycle meant that you had run off and joined the traveling circus. Now, being proficient in those skills may just mean that you’ve been hanging out in Hillsborough. Circus Place, a circus school at 6 Jill Court in Hillsborough, has been training kids and adults alike in the circus arts for the past five years, bringing in 200 to 250 students a month and 700 visiting students a year, of which about half are adults and half are children. And those students are not messing around. 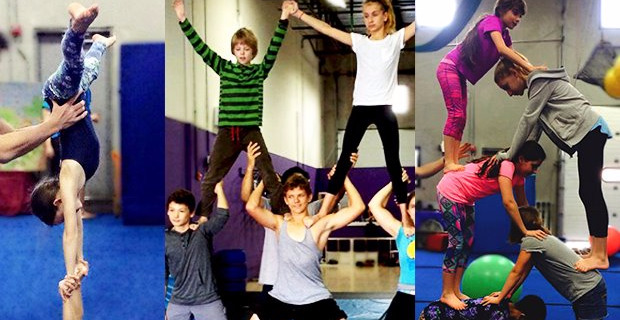 Circus arts have been recently recognized by the National Endowment of the Arts, and about 10 to 20 circus schools and programs have been popping up in the United States each year. According to DiPiazza, this is because the combination of sport and performance found in circus is finally being acknowledged and unlike organized team sports, participants can pick and choose what’s best for their bodies. About 50 classes are offered on a once-a-week basis, including silks, aerials, trapeze, balance, unicycle, juggling, hoops and more. Classes in the fall semester range from $240 to $380, which begins on Sept. 12. Eight to 10 people are in each class, with about 40 percent male and 60 percent female. “Students will often come in to take one class and then see something a friend is doing and say, ‘Oooh, let me try this,’” said DiPiazza. Besides classes, Circus Place also does birthday parties, workshops where they will sometimes travel offsite, and field trips. The business also invites guest performers and coaches from visiting circuses when they come to town. DiPiazza remembers when Circus Place first opened in October of 2011 – which was the very first, and still the largest, circus school in New Jersey. Having grown up dancing and performing in New York City at nightclubs and for corporate events, she was immediately interested in the new school. “I was living in Weehawken and working as a professional aerialist, and at the time, there were zero circus schools happening anywhere,” she said. “I had found a coach and was taking these underground lessons, but when Circus Place opened, I showed up, not knowing anyone, to see if I could get a job. I more or less raised my hand and said, ‘Pick me!’” she said. The original owners, Sharyn Brandman and Craig Quat, did pick DiPiazza, and she worked as an instructor for many years until she was promoted in early 2015. Initially, the Circus Place was a lot less structured and recreational; however, the demographic has shifted to the more serious side with DiPiazza’s leadership, with 10 to 20 percent of students interested in becoming professional performers. Recreational students come to have fun, lose weight and hang out with their friends. 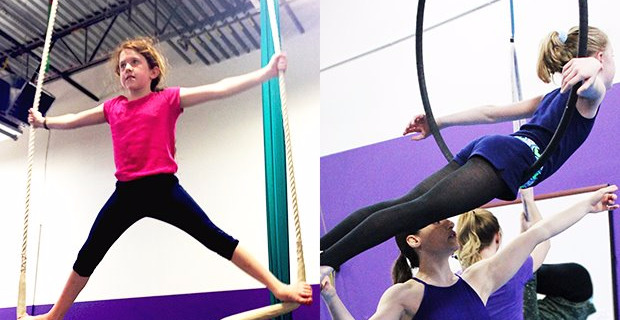 Twelve-year-old Breanna Schechter of Hillsborough has been taking quite a few classes at Circus Place for three years, such as trapeze, aerials, balance, troupe and lyra. An active soon-to-be seventh grader, she attends the classes three times a week for fun. With so many students, DiPiazza said that space is growing tight in the school’s 2400-square-foot gym, and a search for a new site will begin in the next two years.